Adopting a child can be a lengthy process, and for good reason. It is necessary for the proper due diligence to be taken by all parties to make sure the adoption is the right fit. It is helpful to do all the research you can before adopting a baby so you can be adequately prepared. Get the baby’s bedroom ready - While you are waiting for the adoption process to be finalized, you can prepare the baby’s bedroom for them to arrive. Decorating the room with wallpaper, painting a mural, or buying toys, a crib, a changing table, a swing, and any other things necessary for your baby may take some time, so be sure to give yourself enough preparation time for your new arrival. Exercise or take up a hobby - If you feel stressed or anxious while waiting for your baby, you can take your mind off things by exercising or starting a hobby you have always wanted to try. Treat yourself and your spouse - Even though you are ready to have a child, you still need to remember your relationship and your own wellness. Once you have a child, more of your time will be devoted to them. Making the effort before you adopt the baby to spend time with your spouse and do things you both want to do will be beneficial to both of you. Find a pediatrician - Make sure you know where your chosen pediatrician is located. Do some research, get recommendations from friends and family, or ask at the adoption agency to find the doctor who will be the best fit for you. Research daycare facilities - If you are looking to return to work after adoption, make sure you have an idea of the options for daycare in the area. It is never too early to start looking for a daycare that you like, because some daycares have waiting lists. Attend a new parent and/or CPR class - It does not hurt to get as much information as possible about being a parent beforehand, so it may be beneficial to attend a new parent class. In addition, learning about CPR and basic first aid may prevent a disaster from occurring. The adoption process can be stressful, but it does not have to be. The skilled and compassionate Lombard adoption lawyers at Mevorah Law Offices, LLC can provide you with the legal help you need during your adoption. We pledge to give you compassion and understanding while we assist you throughout the adoption process. 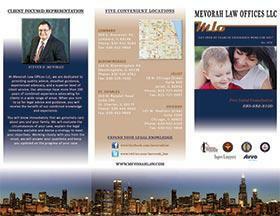 For a free consultation, contact us at 630-932-9100. Marriages may sometimes end in divorce, and when they do, there are many adjustments to make for life after marriage. 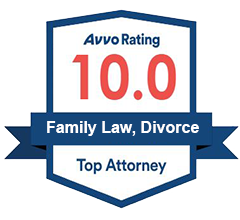 These adjustments often include your children and determining how to handle their lives after the marriage has ended, but before that process can start, you first need to tell them that you and their other parent are divorcing. Letting your children know about an upcoming divorce is most likely going to be difficult. Children will have different reactions and many questions, so you need to be prepared when you tell them what is about to happen. If you have multiple children, you may want to tell each child individually to avoid a scene, or because you do not want to make it seem important. However, it is important, and studies have shown that it is a better idea to tell all the children at once. They will all be able to hear your answers and start to process the news with their siblings. If you feel one of your children will have too strong of a reaction, it may be beneficial to tell them individually. You can always follow up with the children individually, after you have told them together, to see how they are handling the news. Romantic relationships can be amazing experiences filled with love and affection. They can also be filled with fights and abuse, whether that be physical or emotional. Physical abuse is often more easily seen, with bruises, scrapes, or broken bones. Emotional abuse is harder to view at a glance, so it may take some self-reflection to realize you are in an emotionally abusive relationship. 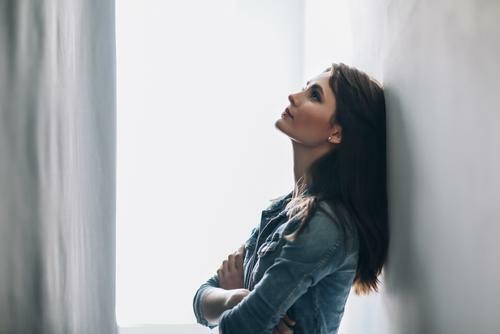 Once you do, it is important that you take steps that protect your emotional wellbeing and mental health, such as leaving the relationship and getting a divorce. If you notice the following behaviors in your relationship, it may be an indication that your relationship is abusive. In this context, “rushing” is used to mean the other person will try to push past the boundaries that you have set. They may try to move the relationship along faster than you wish and do not show any respect for your comfort. This type of behavior shows that they have a lack of respect for your boundaries and do not think you should be comfortable in the relationship. 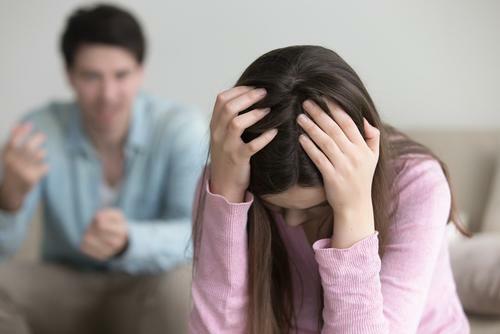 If your significant other acts overly petty with great frequency, it can be a warning sign that they are inclined to emotionally abusive behavior. Pettiness can manifest itself by focusing far too much on something that does not merit as much attention as they are giving it and making you feel like you can not do anything right in your life. Repeated criticism and diminishing statements when you make the smallest mistakes is not a good sign.